Top 10 Simon’s Town Restaurants. It might be the naval suburb of Cape Town, but Simon’s Town is about so much more than the famous Boulders penguins, naval ships and deep-seated sea history. And while it offers plenty to see and do, with world-famous attractions like Boulders Beach and Cape Point all within easy driving distance – it’s the good food that takes everyone by surprise. Boasting fabulous food, people and vibes, The Lighthouse Cafe may have only been around for a few years now – but it has fast cemented itself as one of the most popular eateries in Simon’s Town. This pretty, airy space – bursting at the seams with laid-back, charming decor – has both a Provencal and coastal feeling to it… Best of all, its menu is as relaxed as its interiors. Meal choices are short but stellar and varied, ensuring there is something to satisfy all stomachs. Dishes are freshly prepared, service is sound, reviews are solid and complimentary and the wine list is good… What more could you need from a cosy, local cafe? Address: The Lighthouse Cafe, 90 St George’s Street, Simon’s Town, Cape Town, Western Cape, South Africa. Famed both locally and internationally for its delightful sweet treats, The Sweetest Thing is indeed aptly named. The focus is on breakfast, lunch and of course, coffee time – ensuring you’re well looked after right throughout the day. This wonderful patisserie provides customers with quality cakes, pies and pastries, with all food items (excepting the chocolate truffles) skillfully prepared on the premises. We would go so far as to say that this sweet delight would impress Willy Wonka himself! Address: The Sweetest Thing, 82 St George’s Street, Simon’s Town, Cape Town, Western Cape, South Africa. 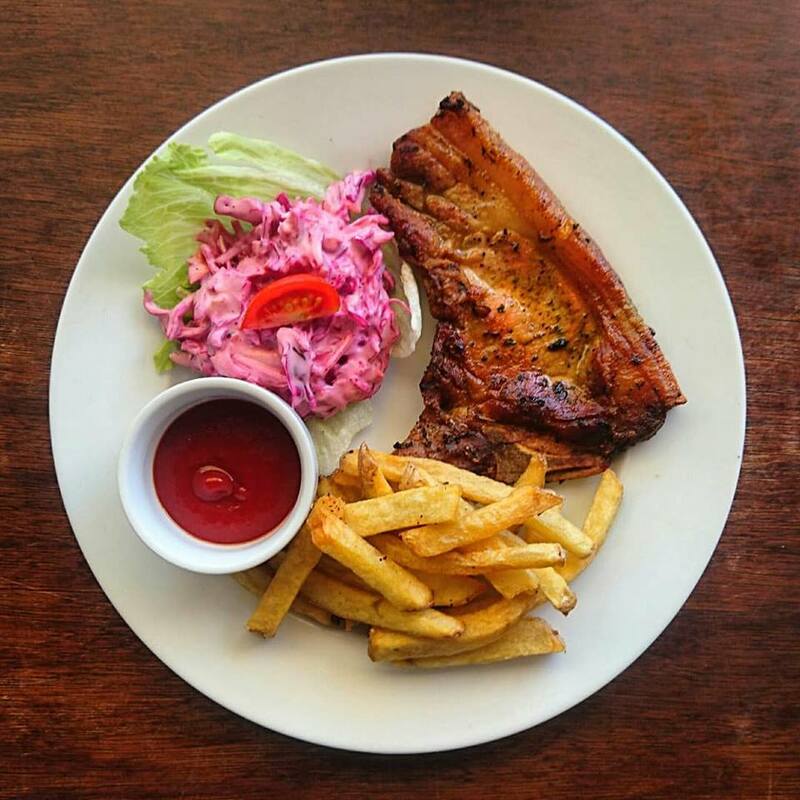 Hailing from the Saveur Restaurant Group, Saveur Simon’s Town has, for the past four years, consistently proved a big hit with locals and visitors alike! The menu, which offers an array of dishes, is sure to delight, with its generous portions and reasonable prices. Service is good, the staff are friendly and the restaurant’s own relaxing atmosphere adds a prevailing peaceful mood. So if you haven’t tried this restaurant yet, be sure to visit it as soon as possible! 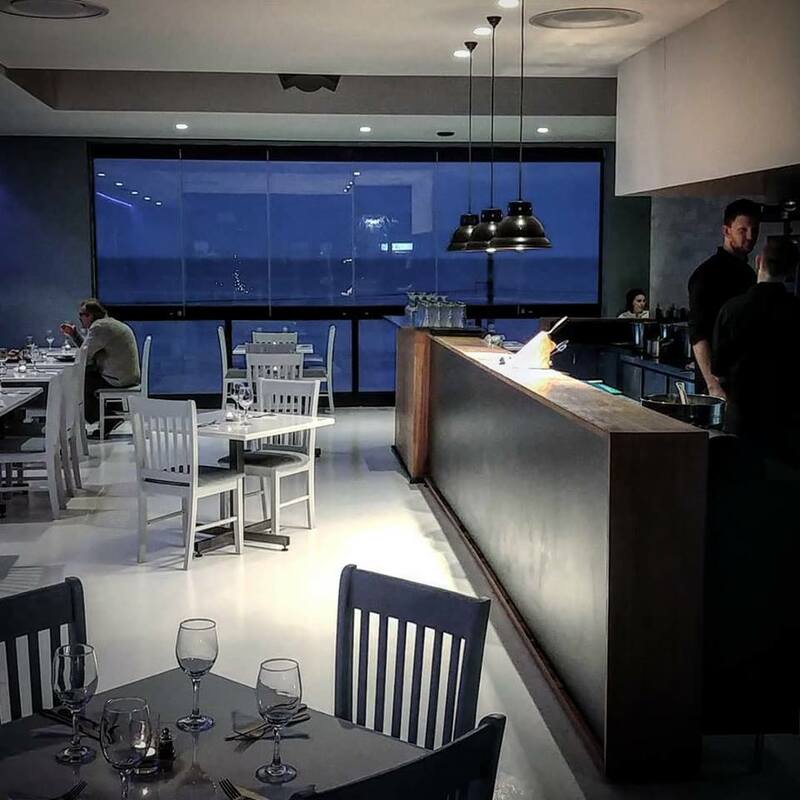 This elegant, bustling restaurant – situated just across from Simon’s Town’s Seaforth Beach – is sure to delight with its excellent range of primarily seafood-orientated options. Seaforth is a well-run establishment, found in a prime location (it’s within close walking distance to both Seaforth and Boulders Beach). Add to that, efficient service, a solid menu and great food – and it’s hard to lose. Oh, and did we mention it offers stunning views of the nearby beach and ocean? When in Simon’s Town, this sensational seafood restaurant is a safe bet every time. Address: Seaforth Restaurant, Seaforth Beach, Seaforth Road, Simon’s Town, Cape Town, Western Cape, South Africa. At Monocle & Mermaid (or M&M, as it’s fondly referred to as), there is an intense passion for coffee, burgers and beer – which, as many will agree, are three of life’s finest things. 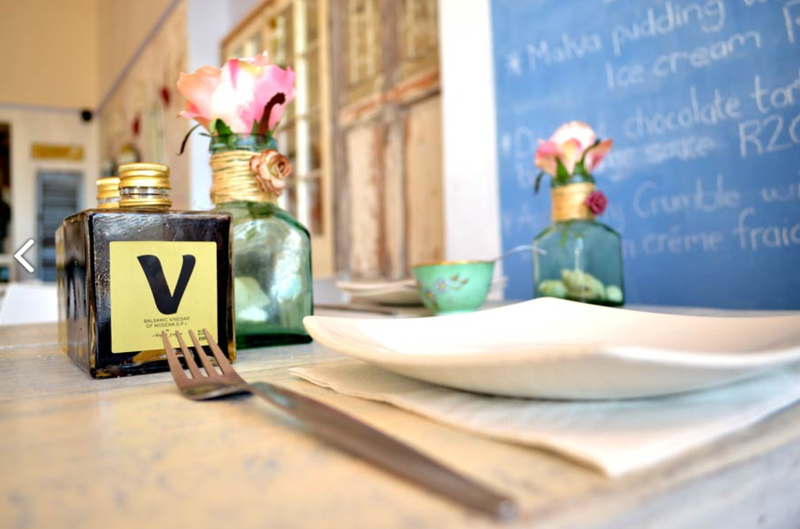 Situated close to the Simon’s Town train station, M&M is big on its breakfasts, lunches and burgers… and it shows! The food is delicious, interiors are trendy and service is great, ensuring that the whole M&M experience is smooth from start to finish. Whether you visit it for a flat white, mouthwatering burger or some good beer, you will leave M&M with a full tummy and a desire to return soon! Address: Monocle & Mermaid, Shop No. 1, St George’s Building, St George’s Street, Simon’s Town, Cape Town, Western Cape, South Africa. 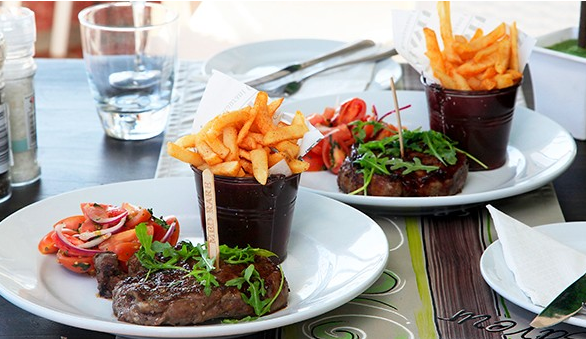 Located between Simon’s Town and Cape Point, one can find the delightful Black Marlin Restaurant. The food focus here is firmly on great tasting, quality seafood meals, served in a beautiful and fun setting at Miller’s Point. Once a whaling station, it is now a place of joy and good food, with views to rave about. And, during whale season, guests can even do some whale watching while they dine – talk about meals to remember! Address: Black Marlin, Miller’s Point, Simon’s Town, Cape Town, Western Cape, South Africa. One Three Six is yet another Simon’s Town restaurant blessed with perfect sea views. Far more than that though, this still-new restaurant impresses from its location at the Harbour Bay Shopping Centre. It is popular with both locals and tourists, particularly as it offers everything from daring starters (think braised rabbit ravioli) to filling, sensational mains, like the Wild Sea Bass or Peppered Ostrich Fillet. Last but not least, the desserts will leave a sweet taste on your lips! If the views and the food at One Three Six don’t delight you – then few restaurants will! Address: One Three Six, Shop GF09B Harbour Bay Centre, Corner Dido Valley & Main Road, Simon’s Town, Cape Town, Western Cape, South Africa. With its pizzas, burgers, steaks and delicious seafood, this family-friendly eatery has something to keep everyone happy. Prices are good, staff are warm and friendly and the vibe inside Cafe Pescado is cosy, comfortable and welcoming, making you feel instantly at home. Whether you pop in for lunch, a romantic (pizza) date night or supper with some live music. At this warm eatery, you won’t be left wanting… that much is certain! Address: Cafe Pescado, 118 St George’s Street, Simon’s Town, Cape Town, Western Cape, South Africa. 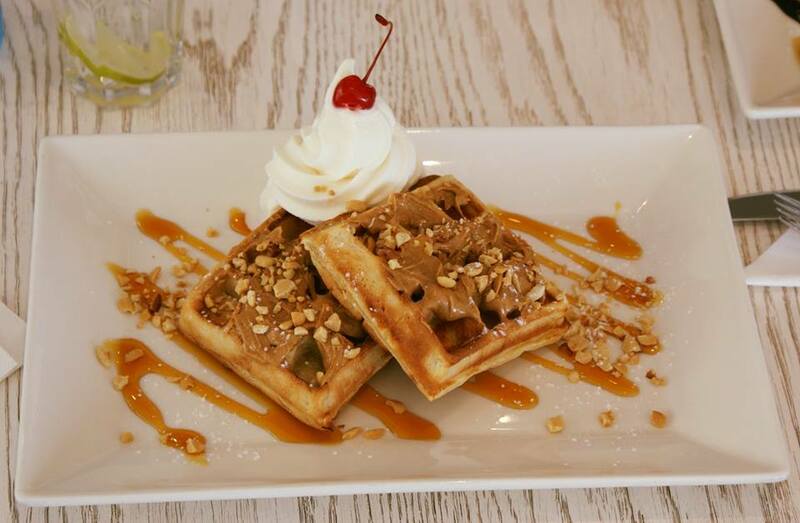 Calling all waffle-, muffin-, ice cream-, pancake- and coffee-lovers… Gather round because I Love Waffles is the place to cure all cravings! This bright and cheerful place is where culinary magic happens… After all, who doesn’t love good coffee or a sweet treat (or better still, a bit of both)? But it’s not just for sweet tooths, as I Love Waffles serves up the likes of salads and sandwiches too, helping to keep all kinds of hunger pangs firmly at bay. So whether you need a coffee fix, sweet indulgence or quick snack, I Love Waffles has you sorted! Address: I Love Waffles, Shop 6 & 7, Quayside Centre, Wharf Street, Simon’s Town, Cape Town, Western Cape, South Africa. Those looking for a homely restaurant with good bites need look no further than the family-run TastyTable. This contemporary-style bistro offers fresh, artisanal food with an honest and fun approach. What’s more, the service is attentive and helpful, catering to your every food need. Locals and online reviewers praise TastyTable across the board – and it’s not hard to understand why. Address: TastyTable, 132 St George’s Street, Simon’s Town, Cape Town, Western Cape, South Africa. These restaurants are just some of the many reasons to make Simon’s Town your next port of call! Author LaurenPosted on July 19, 2018 November 7, 2018 Categories Ten things, The best of South AfricaTags best Simon's Town restaurants, Black Marlin Restaurant, Cafe Pescado, I Love Waffles, One Three Six Restaurant, restaurants near Boulders Beach, Seaforth Restaurant, TastyTable, The Lighthouse Cafe, The Meeting Place, The Sweetest Thing, top restaurants near Simon's TownLeave a comment on Top 10 Simon’s Town Restaurants.